Each year in January, I like to reflect back on something from the past year. 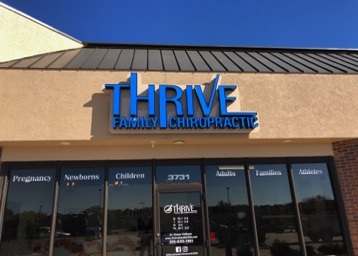 This year has been a volatile year in the retail industry so I am going to share with you some of the changes that have impacted many lives in our area. This is a sign I didn't want to see! Younkers was a retail powerhouse when I came to Des Moines in 1961. At that time, downtown was the hub for retail shopping in Des Moines. Younkers was especially impressive during the Christmas season . Families from all over Iowa would come to shop and enjoy the day--without ever leaving the building. The street level window mannequins were a sight to behold. Then when you entered the building you could go from floor to floor on the "moving stairs" or step in the elevator where the nice lady would say, "What floor please?" For lunch you could fine-dine at the Younkers Tearoom, complete with crystal chandliers, velvet curtains and cloth table covers and napkins. Of course, I always ordered their specialty--the rarebit burger. As years went by Younkers followed the trend and became strong anchor stores in the suburban shopping centers. Younkers has a lot of sentimental value to me. Jeannine and I bought most of our clothing and household needs at Younkers--both for ourselves and our kids. Later, our son-in-law was a buyer for Younkers for 10 years. 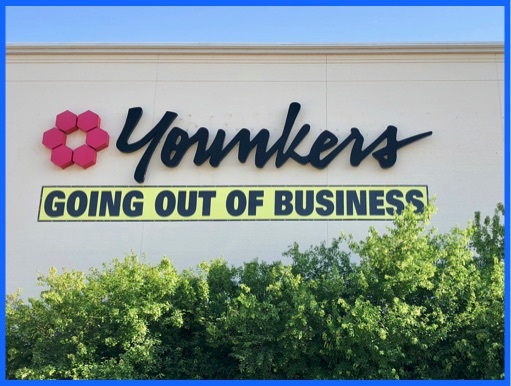 It wasn't Chapter 11--it was a Closed Chapter in our lives when Younkers filed for bankruptcy. All of the stores closed for good in 2018. Our kids and our grandkids can certainly identify with this. Toys R Us was our place to shop. In fact you might say,"Toys WERE Us. 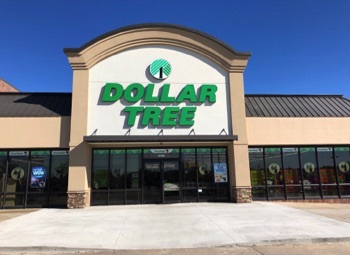 This is where we bought bicycles, sleds, dolls, soccer balls and all of the other necessities of life during those growing up years. I still don't like to drive by and see that empty building. 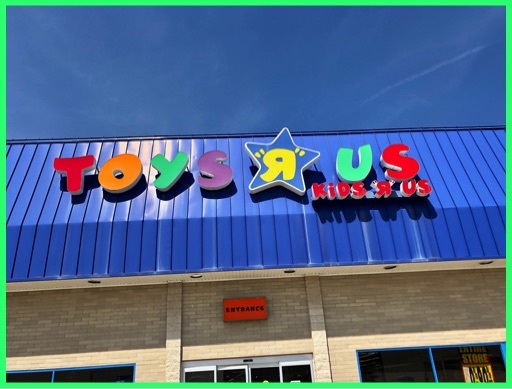 Toys R Us closed in 2018. As you can see--it was a dismal cloudy day when I took this picture. Quite fitting because it was the end of an era. Our closest K-Mart at 73rd and Hickman Ave. was not far from our home in Urbandale. They probably saw the handwriting on the wall as they hadn't updated in years. Nevertheless, we shopped here often in recent years as we wanted to see this nearby store remain in business. Also we knew several people who worked there--including my pharmacy friend, Preston. Of course our needs are not very great anymore so they didn't stay in business "just for us." 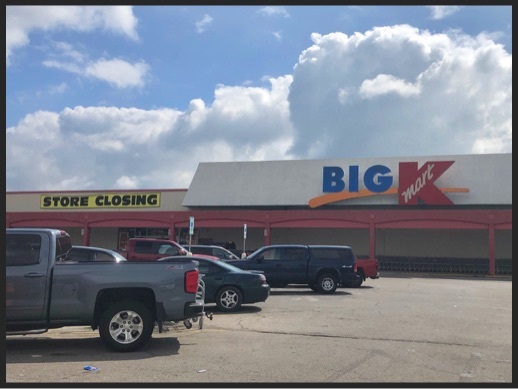 All of the remaining K-Mart stores closed in 2018. 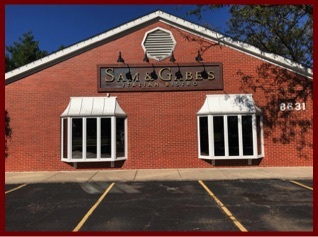 Both of these businesses closed in 2018. LEFT-Maurices Merle Hay location is an example of the change in shopping habits. 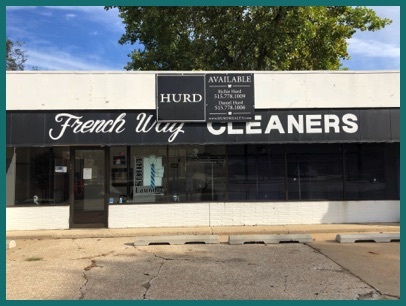 RIGHT- French Way Cleaners at the Douglas Ave. location. 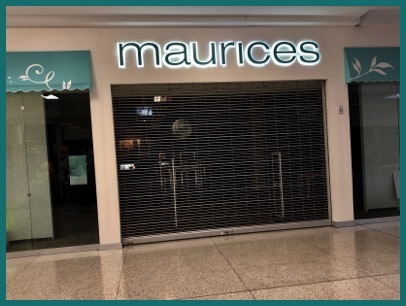 These are two more examples of retail businesses that closed in 2018. The restaurant business seems to be fickle as dining habits change. These are just a few places that bit the dust in 2018. I am going to tell you about one last story worthy business closing. The Varsity, a single screen movie theater, is directly across the street from the Drake University campus. The Varsity Theatre opened for business on Christmas day, 1938. It has been an important part of the Drake neighborhood--and all of Des Moines--for 80 years. They had their own niche and did it right. 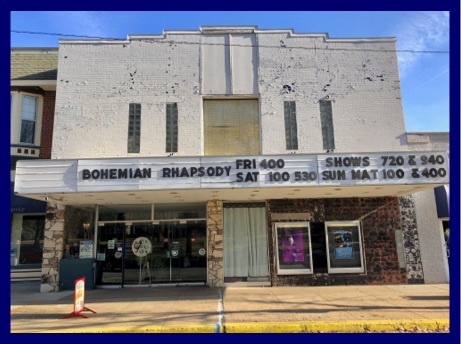 They persevered and forged ahead in spite of the state of the art multi-screen theatres that have pretty much taken over the movie industry. Actually, I have never seen a film at the Varsity Theatre, but I can relate to that early era. When I was a western Iowa farm boy I always managed to find a way to town (Anthon) on Saturday afternoon to see a Gene Auty matinee. It cost a dime, but I remember how happy I was when I reached age 14 and was asked to for pay the adult price- 40 cents. It made me feel like a man! 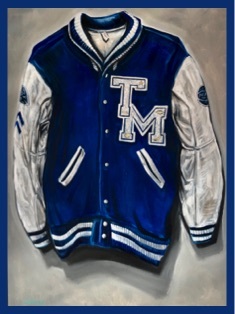 Now back to the Varsity Theatre. You all know I'm not big on change, but these people want to retire. 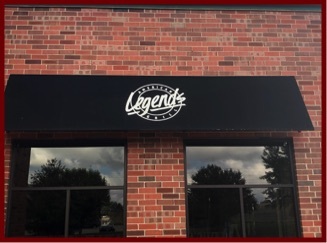 I am sure you will join me in thanking them for their important contribution to the Des Moines area for 80 years! 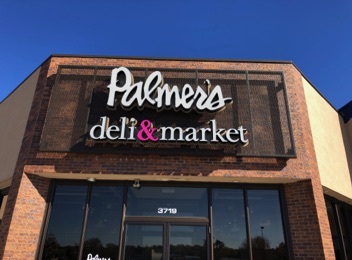 There are a number of new businesses opened in Greater Des Moines in 2018. 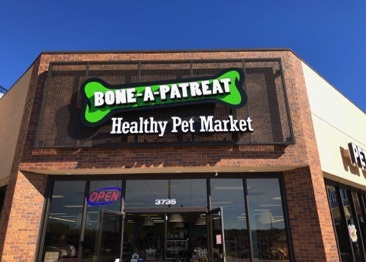 I invite you to come with me to visit a shopping center just a few blocks from our home. 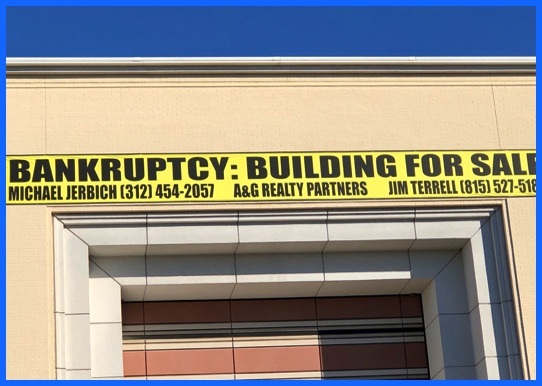 Actually, this strip mall did not open in 2018. It has been there for many years. 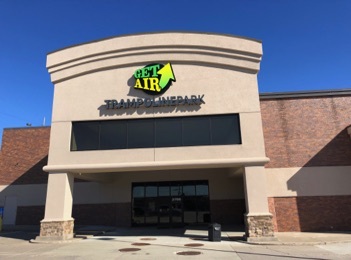 I do not know when the strip mall, Parkwood Plaza, at 86th and Hickman was built, but it has been there since we moved to our home 20 years ago. 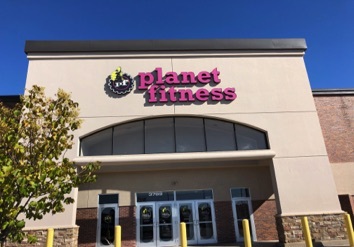 For some reason, it was losing tenants and was looking somewhat like a ghost town when it was sold and renamed Urban Town Center a few years ago. After remodeling the buildings and improving the parking area, this shopping center seems to be breathing new life. I do not know the statistics, but it appears to me, it is close to being fully occupied at this time--December, 2018. 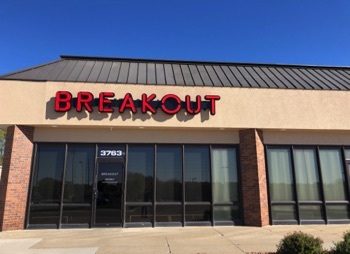 I am going to close with one more example of a new business that opened in the Des Moines area in 2018 and this one is BREAKING NEWS! The doors opened today, December 17, 2018. As many of you know, I like to explore new places and things so l was happy to be the first person to walk through the door. 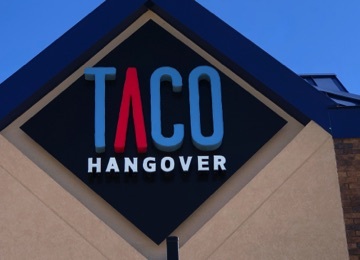 This is an upscale neighborhood bar and grill with a catchy name. 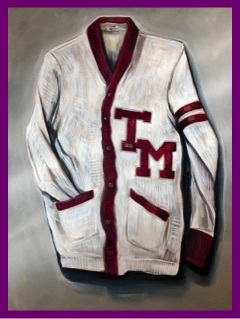 One of the owners graduated from Roosevelt High School (TEDDY) and the other from Dowling (MAROONS). 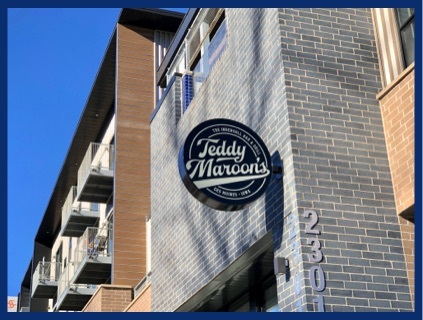 So--it is TEDDY MAROONS. Our kids were both Roosevelt grads and we have had many friends whose children went to Dowling so we can relate to the name. This is a classy dignified place with a theme based deco that reaches out to to the the surrounding areas. 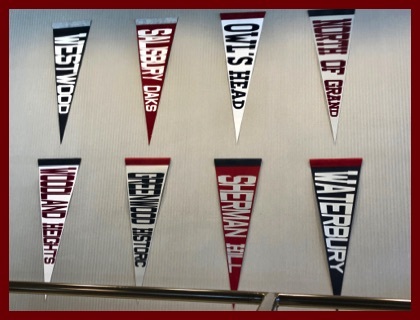 An (example--the wall of felt pennants recognizes various Des Moines neighborhoods. 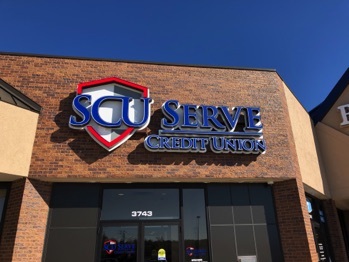 There were many other new businesses that opened in the Des Moines area in 2018, but I thought this was a good way to summarize the new business progress in Central Iowa. I didn't really know where I was going with this when I started my first post for 2019. I wanted to talk about some area of the previous year (2018) and I wanted it to be something I have never covered before. Then it occurred to me--this year there have been many changes that affected business and retail throughout the Greater Des Moines Area. For one thing, I have noticed the big enclosed shopping malls seem to be suffering while new strip malls seem to be popping up everywhere. I just do not understand this one. I would rather park my vehicle and walk indoors from store to store, rather than make many stops at various locations. Many places where I have shopped closed, and that means I will need to change with the times. 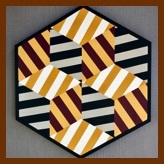 I am not big on change, but my needs are less as I get older, so I do not shop much these days anyway. I do not want to make all of this seem negative, as I try to put a positive spin on "all things Iowa." So I will just conclude with a quote from long ago by one of our son's boyhood friends--"Things change and people move on." Who knows--maybe that could be a good thing! 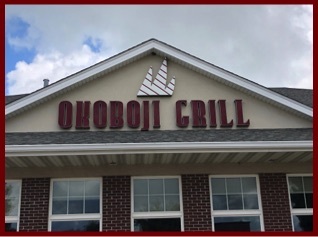 Many restaurants have opened in Central Iowa in the past few years. 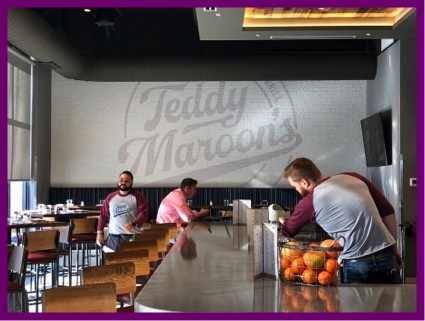 A number of them, like Teddy Maroons, are chef driven locally owned establishments. And here is what I think is the best part--the menu features so many fresh and nutritious Iowa grown products. How good is that? When I was a kid growing up on a farm in Western Iowa, Sears Roebuck and Company was a mainstay in downtown Sioux City. In addition to walk-in retail, they had a huge catalog business. In fact, my grandfather actually bought his big beautiful farmhouse from the catalog. My dad helped with the construction. It was like putting together a Logo kit on a very big scale. True to my roots, I was loyal to Sears for many years. When we were first married this is where I bought my Craftsman tools, Kenmore appliances, paint and other home needs. In later years, the big box home stores started popping up throughout greater Des Moines. Competition was tough and shopping habits changed. 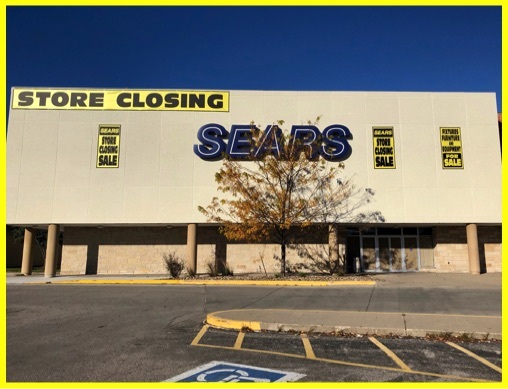 I was sad when Sears closed in 2018.